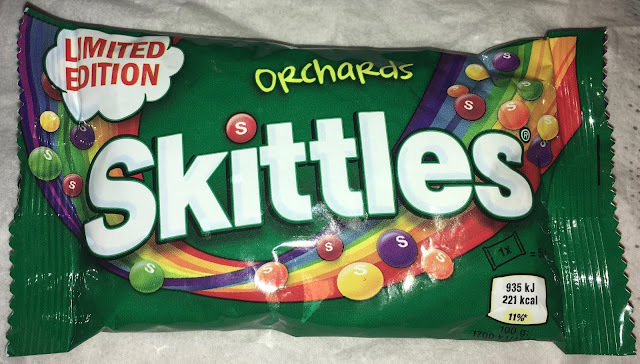 These new Limited Edition Skittles Orchards are now on sale in the UK, and seem to be exclusively available in Asda, for now at least. I tried to google the sweets and found the American version of Skittles Orchards have some difference, for example peach, and their apple is red. I thought I’d see what was in our UK edition pack of Limited Edition Skittles Orchards. Green - These were labelled as apple. I found the flavour very sour and sharp. In fact it sharpness is the first hit, and it is overpowering, then there is a subtle hint of apple. Purple - This one is cherry, and the flavour develops as you eat, it starts soft, then gets a bit stronger and a little sour. Is it just me or should cherry sweets be red not purple. A nice cherry taste though. Yellow - This is lemon, and it is very much a regular lemon Skittle. It is sweet not sour and wonderfully fruity. It is very enjoyable, but that is what you’d expect from a lemon skittle. Orange - This is orange in colour and flavour. It is sweet not sour, and again very tasty. 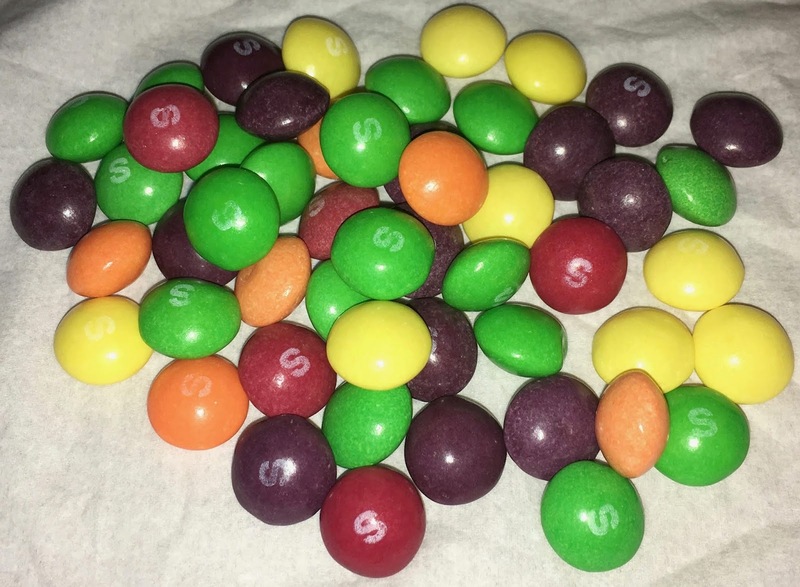 There is lots of sweet citrus, but aren’t these too in a normal bag of Skittles? Red - This new flavour is pomegranate. It is sweet and different, these were by far my favourite, they were a good representation of the fruit flavour and every enjoyable. I did google to see if pomegranates are grown in orchards too, they are apparently. Phew. I have to admit to not being too impressed with this bag of Limited Edition Skittles Orchards. My least favourite flavour were the green sour apple, they were more zing than apple and the fruit flavour never quite over came the sharpness. Green were of course the most plentiful in the bag. The lemon and the orange were a disappointment not because they were bad, just because they were regular Skittles flavours. I did however like the cherry and pomegranate, but perhaps not enough to buy the bag again.